Direct Oceanfront Luxury PENTHOUSE Condo w/Oversized 21' x 34'' PVT A.C. Garage PLUS 238 SF PVT A.C. Storage. Enter this Gorgeous residence from your pvt elevator. Spectacular Ocean Views from the minute you walk in! 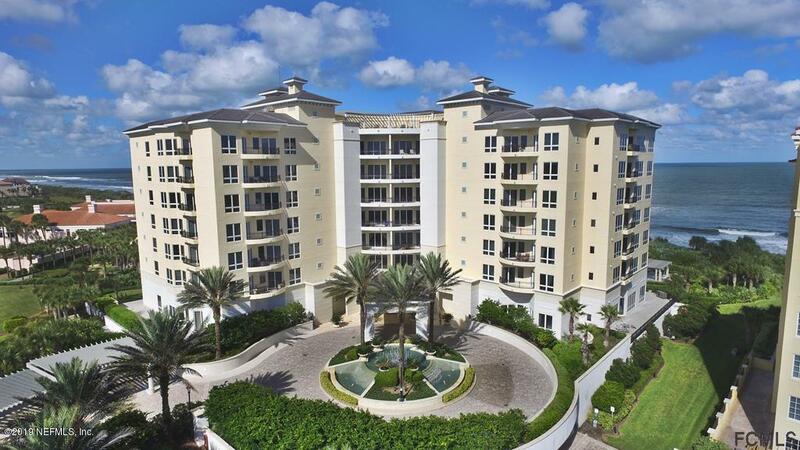 The Custom Build Out of this condo was completed in 2013 w/State of the Art Luxe Finishes. Beautiful 24'' ''Snow Caps'' Polished Marble Flooring throughout. Custom Soffits & Custom Trim throughout. Ocean Views from the Gourmet Kitchen w/White Custom Cabinetry by ''Yorktowne'' & ''Fiji White'' Quartzite slabs & full backsplash of Carrara Marble Basketweave. Fabulous ''G.E. Monogram & Viking appliances including a GAS Cooktop! Each Bedroom Ensuite. Convenient QMotion Electric shades. Gorgeous built ins in office. Click on Document Link for Details. Expansive balconies w/summerKitchen & Grill. Luxury amenities of Le Jardin: Fitness Center w/Exercise Pool, Social Room, Theater Room, Wine Room. Hammock Dunes Club membership available, not required. Walk to Beach, Club &.Golf! Special Remarks: Do Not Convey: Music Electronics, Two Safes and the DR Chandelier. The space in Garage #14 is amazing and a "must see". Hammock Dunes Club is an Oceanfront Private Club w/ 2 Championship golf courses by Rees Jones and Tom Fazio. There are only 2 private, oceanfront Clubhouses in Florida and Hammock Dunes is proud to be one! The club offers a 5,000 SF Fitness Center, Fabulous Oceanfront Dining, Dunes Tavern, Heated Oceanfront Pool, Tennis, Croquet, Additional Club House at the Creek, etc. Rated by "Golf Magazine" as one of the top Residential Golf Courses in the country. Proud Recipient of the "Emerald Clubs of the World". Hammock Dunes is a private, gated, oceanfront community located on the Central Florida Mid Atlantic Coast.